• Remove the protective paper backing and stick your image in place. 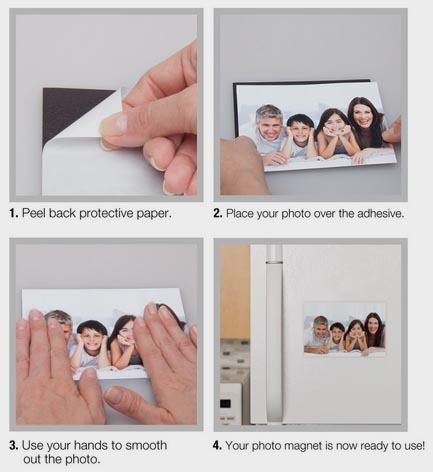 • Easily trim your photo magnets to a different size. 370 1'' x 1'' $19.00/100 only. 369 2'' x 3 1/2'' $29.00/100 only. 373 2 1/2'' x 3 1/2'' $29.00/100 only. 374 3 1/2'' x 5'' $39.00/100 only. 376 4'' x 6'' $45.00/100 only. 377 5'' x 7'' 91.00/100 only. Choose from a variety of size magnets to mount your photos on. 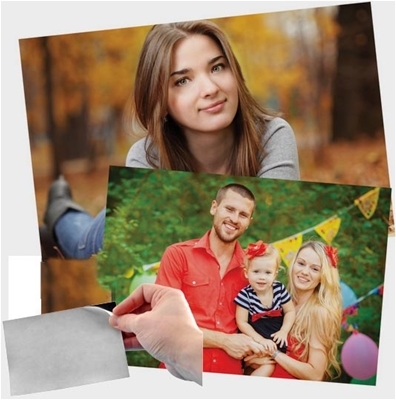 Remove protective paper backing and stick your image in place. Easily trim your photo magnets if you have to. Our photo magnets are a thick 20-30 mils. each.